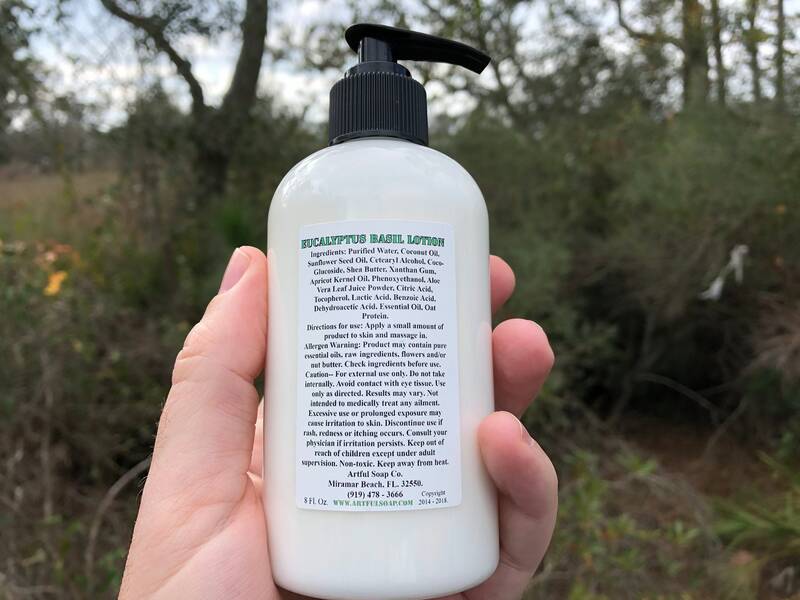 Eucalyptus & Basil Lotion, 100% Natural, Natural Lotion, Lotion, Eucalyptus, Moisturizing, Fast Absorbing, Moisturizer, Natural. NEW RELEASE! 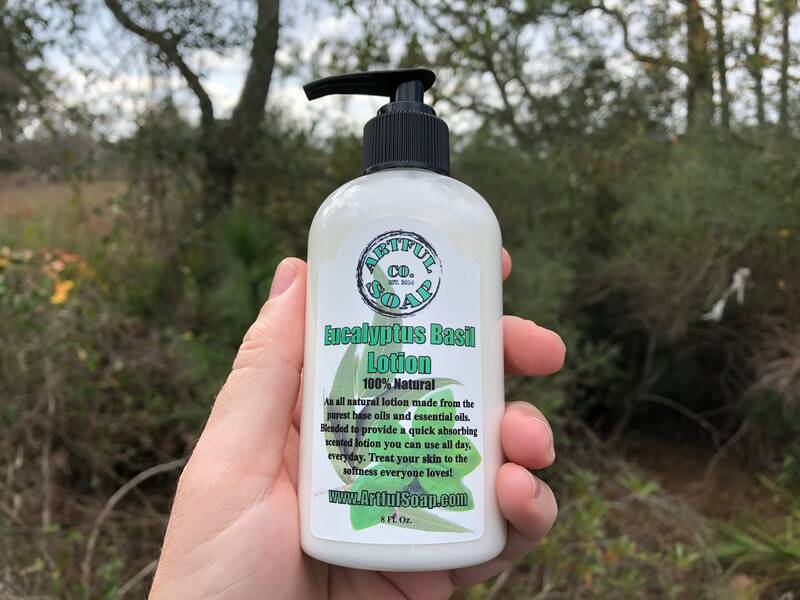 We added lotion to our famous Eucalyptus Basil line of products. The Sweet Basil Oil blends perfectly with eucalyptus and creates a smoother scent than the pure eucalyptus that is known for its sharp scent. This all natural lotion is made from the purest base oils and therapeutic grade essential oil. Blended to provide a quick absorbing scented lotion you can use all day, everyday. Treat your skin to the healing moisture it craves! Ingredients: Purified Water, Coconut Oil, Sunflower Seed Oil, Cetearyl Alcohol, Coco-Glucoside, Shea Butter, Xanthan Gum, Apricot Kernel Oil, Phenoxyethanol, Aloe Vera Leaf Juice Powder, Citric Acid, Tocopherol, Lactic Acid, Benzoic Acid, Dehydroacetic Acid, Essential Oil. 8 Fl Oz.